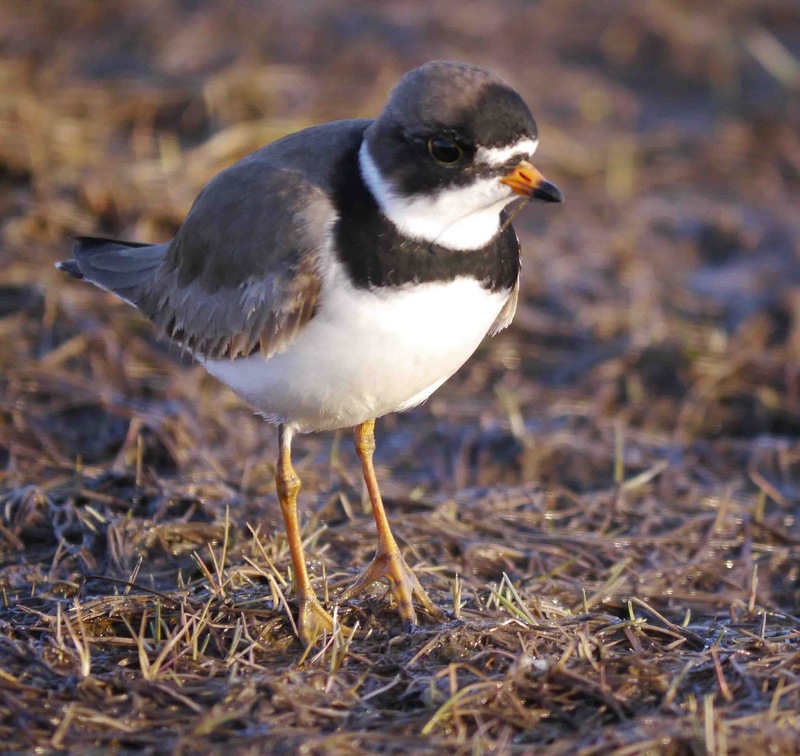 Wader Quest: 'Yanks' in Russia! There are a number of wader species that we in the UK and Europe think of as being American species or 'Yanks' as they are fondly known, but Martin McGill, on his trip to the Chukotski Peninsula of eastern Russia, proved that some of them have dual passports! 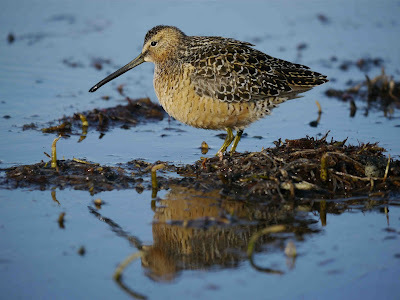 Here are photos Martin took there of some of the species, starting with Long-billed Dowitcher Limnodromus scolopaceus. 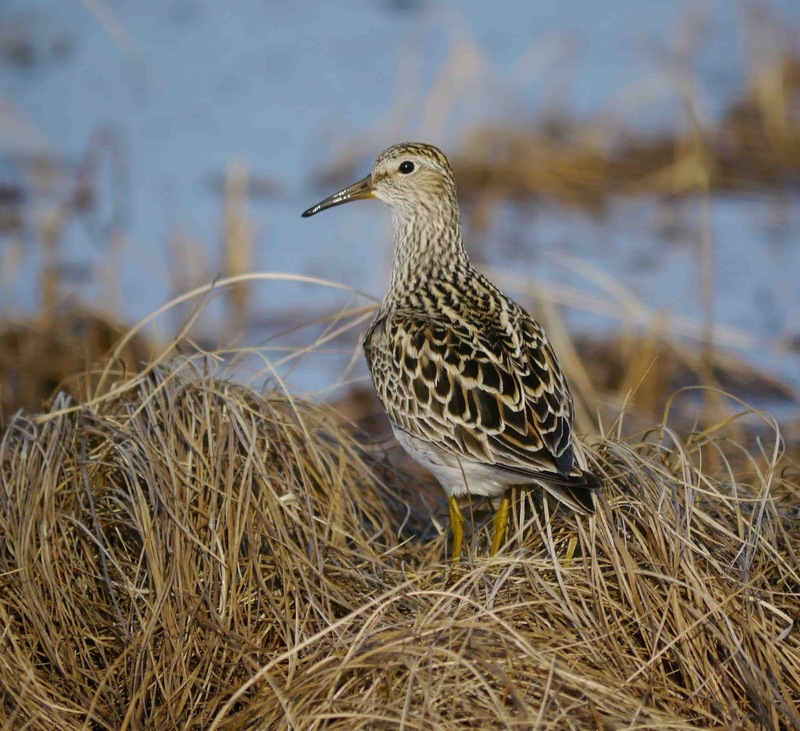 This species breeds in Russia as far west as the River Yana and is spreading westward.They migrate in an easterly trajectory and then south along the Pacific coast of North America, some crossing the interior and moving north along the Atlantic coast. Long-billed Dowitcher: Anadyr, Chukotka Autonomous Okrug, Russia, 21/05/2011. Photo Martin McGill WWT. Pectoral Sandpiper Calidris melanotos has an even larger range in Russia spreading as far west as Taymyr. The vast majority of Russian birds winter in South America with a small number travelling instead to Australasia. Petoral Sandpiper: Anadyr airport, Chukotka Autonomous Okrug, Russia, 22/05/2011. Photo Martin McGill WWT. 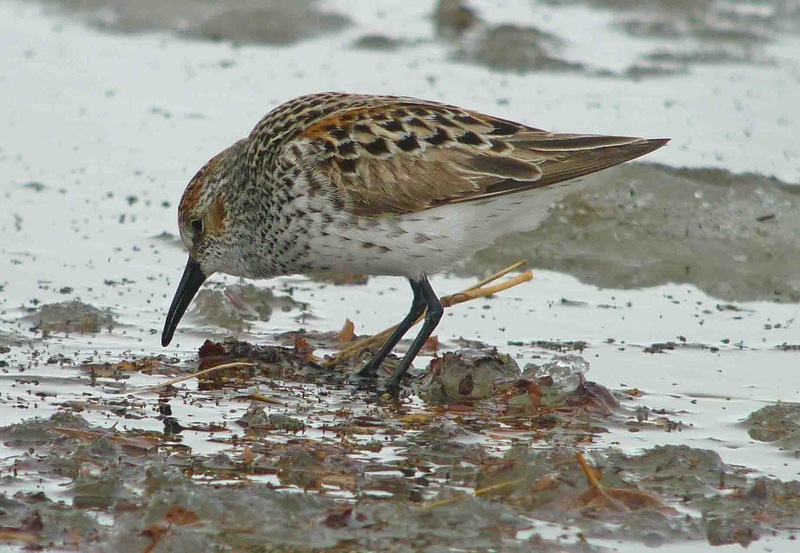 Of the smaller 'peeps', the Western Sandpiper Calidris mauri is the sole example from this batch of birds. This has a much smaller range being restricted to the eastern Chukotski Peninsula. 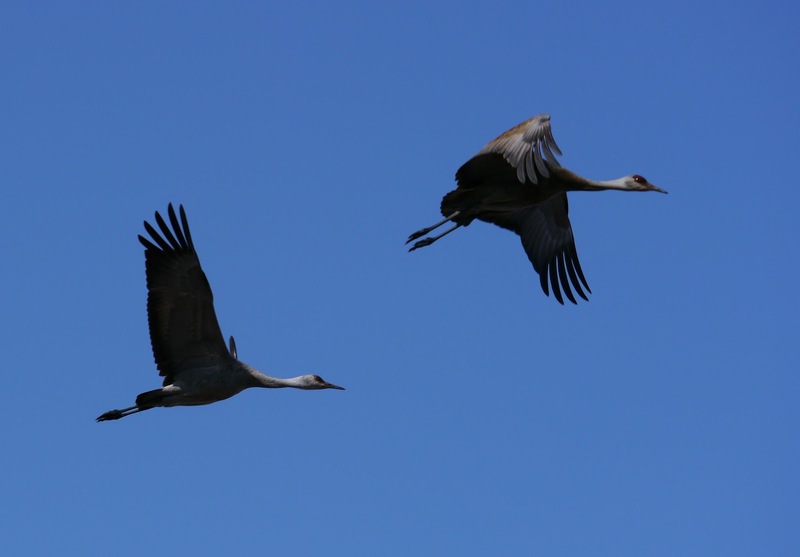 Russian birds joining American birds to migrate south mainly along the Pacific coast of North America, but some take a more easterly route through the interior. Western Sandpiper: Anadyr, Chukotka Autonomous Okrug, Russia, 17/05/2011. Photo Martin McGill WWT. The only plover in this group is the Semipalmated Plover, Charadrius semipalmatus. All the Russian birds will migrate to spend the winter with the Nearctic birds along the coasts of North, Central and South America and the Caribbean. Semipalmated Plover: Anadyr, Chukotka Autonomous Okrug, Russia, 21/05/2011. Photo Martin McGill WWT. As some of these birds are actually closer to us in the east than in the west, Martin questioned whether at least some of the birds that turn up here are coming from that direction rather than the west. He answered his own question by suggesting that he favoured the idea that they came from the west as accepted knowledge dictates. It would be very interesting though to know for sure wouldn't it?. I know these are not waders, but they are surely consdered 'Yanks' Sandhill Cranes Grus canadensis are another surprise to be found in Russia. Sandhill Crane: Meinypilgyno, Chukotka Autonomous Okrug, Russia, 09/06/2011. Photo Martin McGill WWT. It is also worth remembering that Bar-tailed Godwits Limosa lapponica that are generally considered Eurasian species also breed in Alaska and it is these birds that make one of the most impressive migrations among any bird species, not just waders. They fly non-stop some 11,000 miles from Alaska to New Zealand in one flight with no stop-overs. They return via the Yellow Sea in Asia and are therefore another species that is adversely affected by the steady destruction of the intertidal zone there. 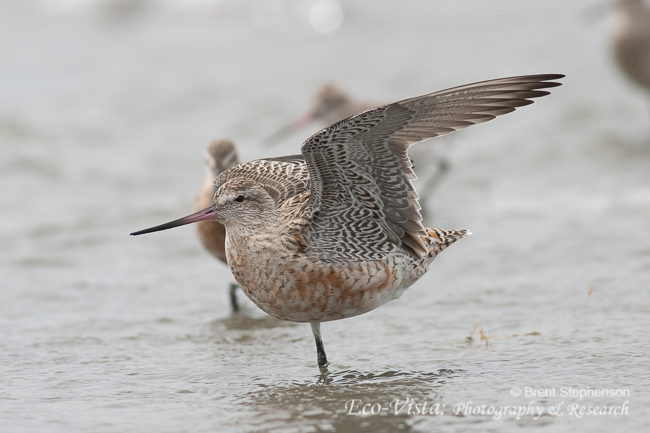 Bar-tailed Godwit: Photo Brent Stephenson. Thanks to Martin McGill and Brent Stephenson for the use of their photographs. Another nice entry. 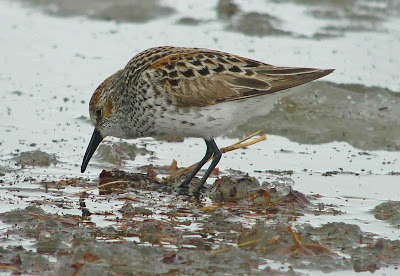 I am sure many of us have not been aware of the expanded range of these typically known North American shorebirds. It would be an exciting project to further monitor the range expansion of Short-billed Dowitcher. Thanks Szimi. There is so much out there to be studied and learned that it is hard to know where to start!